Also known as wingtips, the wing-shaped cap extends around to the outside of the toes. 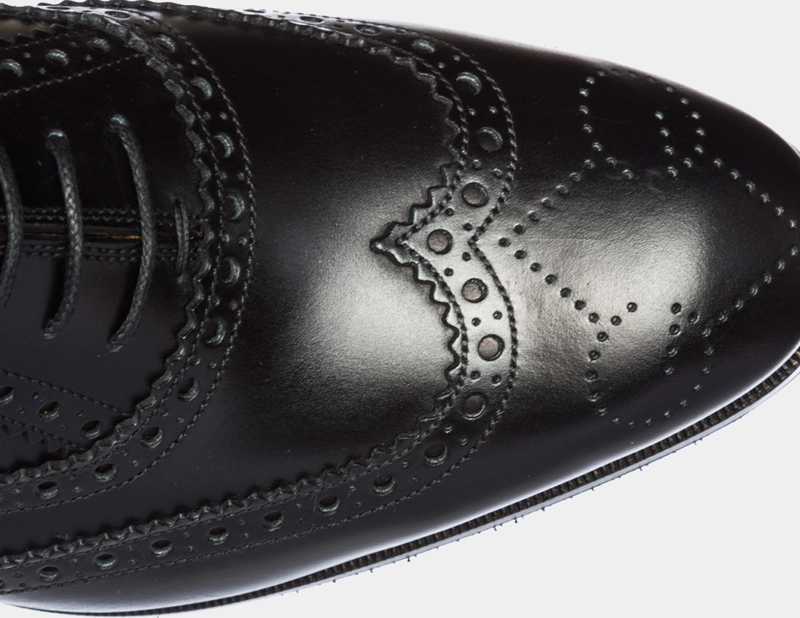 Longwing brogues are most commonly seen on the derby shoe. The shoe’s brogued wingtip cap continues along the side of the shoe all the way to its center seam in the back. 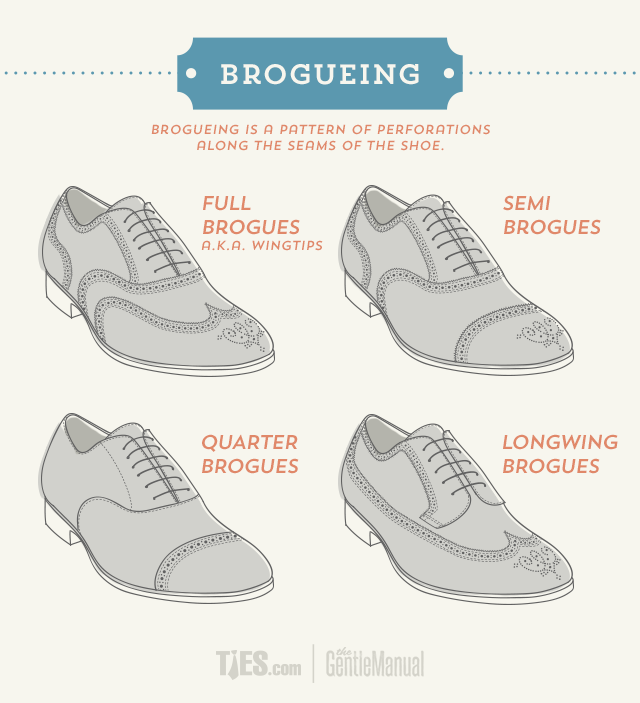 Semi-brogues, also known as a half brogues, feature broguing along the seam of the cap toe as well as some decorative broguing on the center of the cap toe. This is more subtle than a full brogue. The most reserved of the lot, the quarter brogue simply features decorative broguing along the seam of the cap toe, with no decoration on the center of the cap toe.